Boat Description Everyone needs a hideaway. A special place that`s far from the deadline and the rush hour, not to mention the crowd. 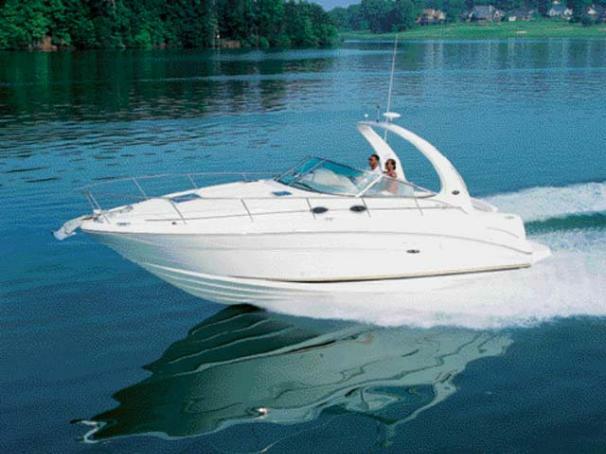 Presenting a very special place that`s yours, and yours alone: the Sea Ray 300 Sundancer. Take a long look at it. It`s not too big. It`s not too small. It`s just right. So, whenever you want, you can take off in this boat and wallow in luxury all by yourself. Or you can invite some friends and have a sleepover for six. Engine Notes Volvo diesel stern drives also available.